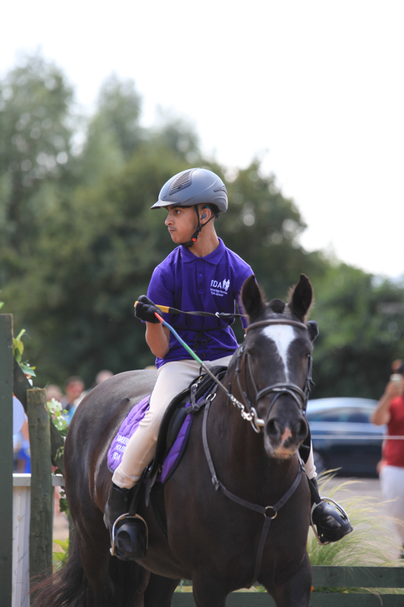 Ash Field Pupil Wins 2nd Place at Horse Riding Nationals! Kimberley House Riding for the Disabled Group and Ash Field Academy have been working together for many years now so that pupils can learn to horse ride and enjoy its many benefits. Over the past three years the riders have been able to compete in a Regional Competition. This is a huge event for our riders, who only ride once a fortnight as they spend alternate weeks either on the stable yard or in the classroom learning horse related skills. The competition tests a rider’s control, balance, thinking and bravery, as well as their riding skills. All our riders performed really well but you can imagine how proud and excited we were when Haroon qualified for the National Championships! He qualified on a horse he had only met that day but was lucky enough to be able to borrow her for the Nationals. The day of the National Championships dawned as two carloads of supporters travelled down to Gloucestershire to the Hartpury Equestrian Centre, where all the UK’s top riders have performed in the past. Haroon arrived with his Dad and two brothers in plenty of time to soak up the atmosphere and to have a look at the course he and trusty Babs were going to do. A very excited and proud Haroon entered the arena and gave every bit of skill he had to get Babs around the course. He struggled a little on two of the elements as Babs wasn’t really concentrating and we could all see how disappointed Haroon was as he came out. However, everyone else was extremely pleased – there are hundreds of RDA riders in the UK and 400 qualified for the Nationals, so this in itself was a huge achievement. After returning Babs and some borrowed riding boots Haroon and his team waited in a very hot marquee along with all the other competitors for the results presentation. Haroon came second! We all cried! Total strangers cried! Haroon didn’t stop grinning for hours! He wore his rosette with pride as he began to realise just how far he had come over the past couple of years, from the overexcited young lad who at first had to ride without reins until he learned to control his movements. At the beginning he relied on someone leading the pony and people walking either side of him so he didn’t fall off. Now he rides independently and want to start show jumping! And, of course came 2nd at a National Championships.